We have been really privileged to be sent two new books from Miles Kelly. The books are both in the same range and follow the same principal, but with different stories written by Camilla de la Bedoyere. 'Where is the bear?' 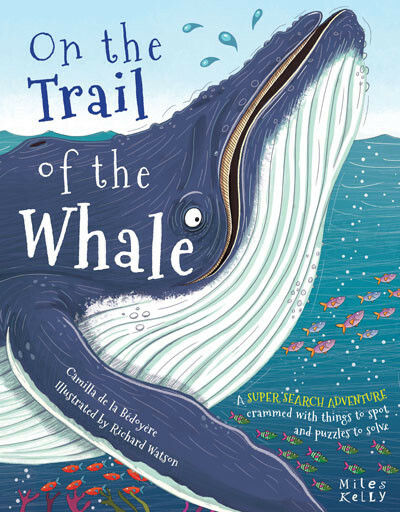 and 'On the trail of the Whale' are Super search adventure books. Each page is full of information, puzzles and things to spot, along with the story. The covers open out and are wipe clean which means children can write and tick off animals as they spot them. I love the colourful quirky illustrations in each book even though illustrated by different people they both offer the same look and feel, which is great for continuity in the series. The pages open up plenty of discussion around the animals and their habitat and the girls love to spot and find the clues and animals as we go. These are wonderful books and although suited for ages 5+ my four year old loves them too. 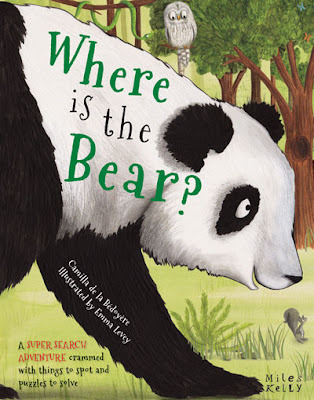 They make a great resource for discussing different animals and their habitats. Each time we read them we discover something new and this keeps the magic of learning alive. They are amazing value for money and would make a fantastic gift.